A fresh and rapidly absorbed gel, ideal for tonifying the skin of your bust. Its formula, created for active women, contains a mix of targeted ingredients to make your skin firmer and better toned, including Green Coffee extract and an active ingredient derived from Sesame with an immediate tensor effect. The addition of Plant Collagen helps to stop skin ageing and sagging. The lovely aroma of relaxing and reinvigorating prized essential oils makes it a true pleasure to apply. When used daily it increases the effect of exercise, helping to keep your décolleté looking beautiful. A fresh and rapidly absorbed gel, ideal for tonifying the skin of your bust. 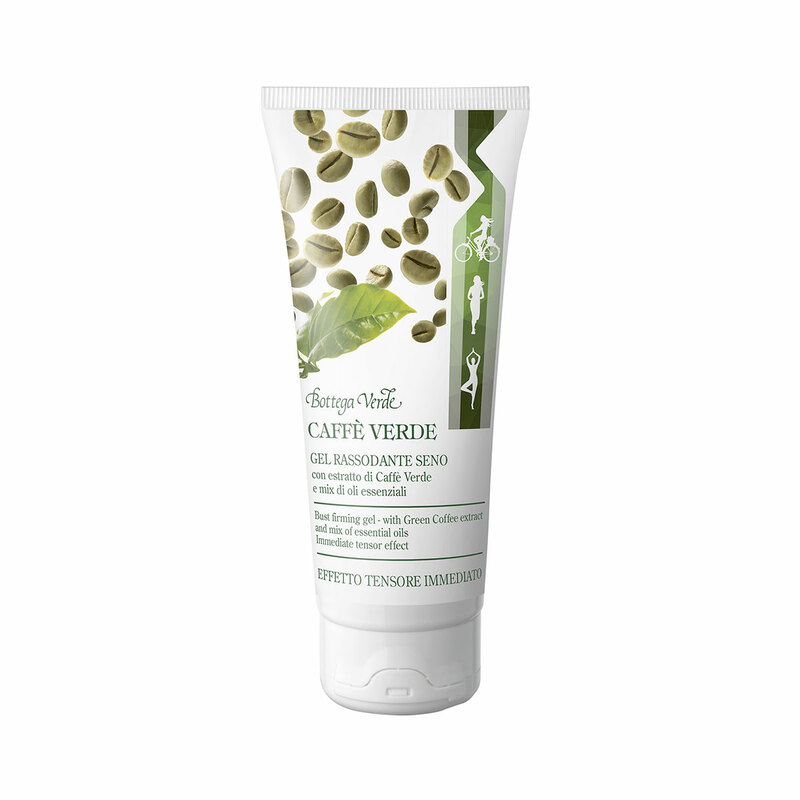 Its formula, created specifically for active women, contains Green Coffee extract and an active ingredient derived from Sesame with an immediate tensor effect. The lovely aroma of relaxing and reinvigorating essential oils makes it a true pleasure to apply. Perfect for increasing the effect of exercise, to keep your décolleté looking beautiful. Direction for use:Apply a small quantity of the product to the relevant area and massage in an upwards direction until fully absorbed. Repeat application twice a day if required. Scent:Green Coffee extract, Plant Collagen, a Sesame derivative and Neroli, Bitter Orange, Lavender, Scots Pine and Ylang Ylang essential oils. Suggestions:For all women who want to fight saggy skin. Characteristic:Choose it if you want a product that contains no parabens, formaldehyde releasers or mineral oils.